A complete working historic estate of 900 acres in rural Staffordshire, Shugborough has everything an aristocratic country pile should have – imposing Georgian mansion, parkland, formal gardens, a walled garden, farm (including labourers’ houses, watermill, workshops and rare breeds), river walks, monuments, servants’ quarters, stables, a brewery…enough to please most day trippers, and even keep your average socialist happily grumbling for hours. What more could you ask? Well, for a start, it has an ugly old bird in the farmyard; or it did have until last Christmas. 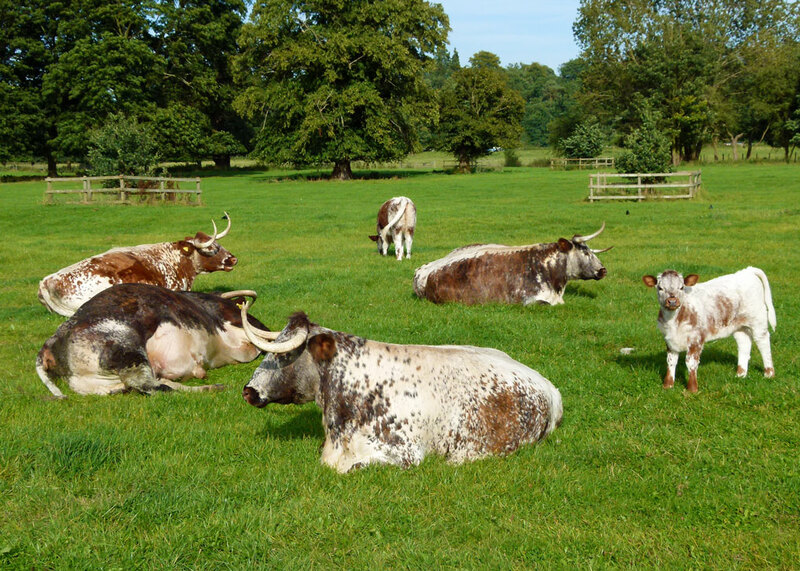 It also has a herd of Longhorn cattle, which have grazed at Shugborough for 200 years. Then, it could be the place where the English slang term, ‘loo’ originated. Shugborough is reputed to have a ghost or two, as well. And the conspiracy theorists and Dan Brown fans love the suggestion that Shugborough might have an association with the legendary (or mythical) Holy Grail. 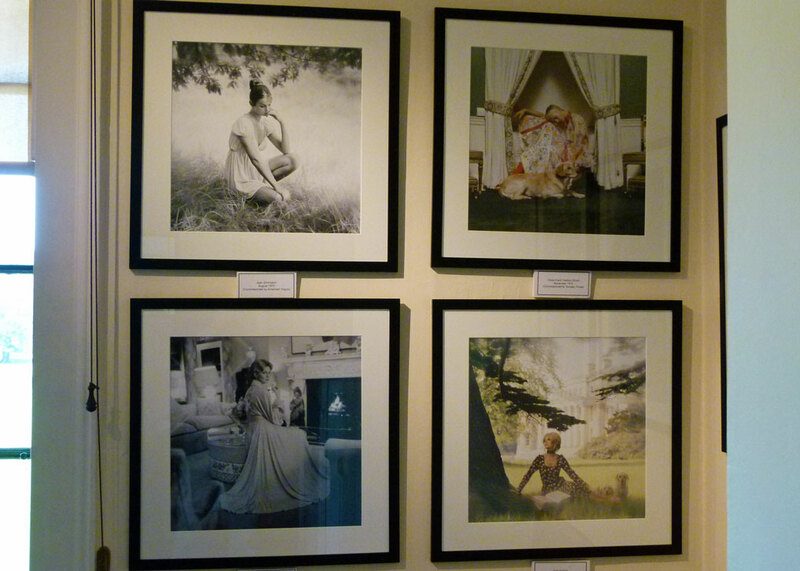 Best of all, in my view, Shugborough’s arguably most famous son was the 5th Earl, the internationally renowned photographer Patrick Lichfield, who died in 2005. 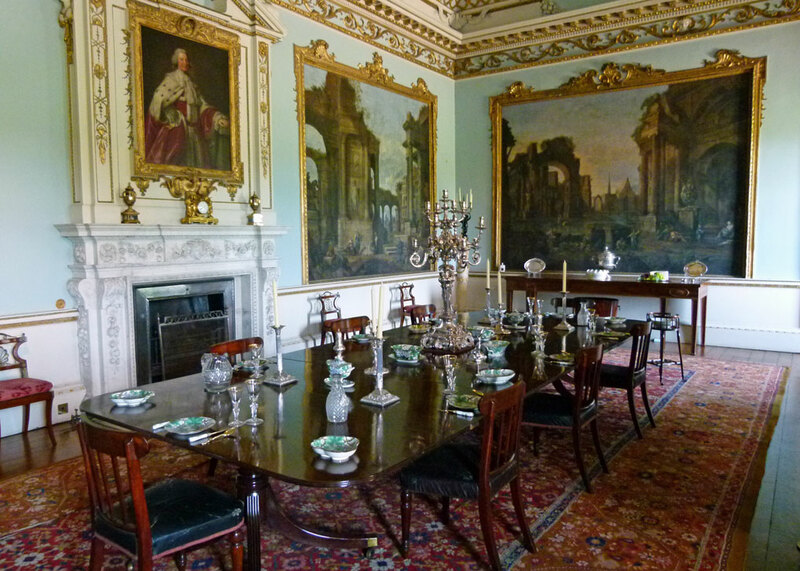 His private apartments can be visited as part of a tour of the house and a great deal of his work is on display, including portraits of the great and the good – many of whom stayed at Shugborough. 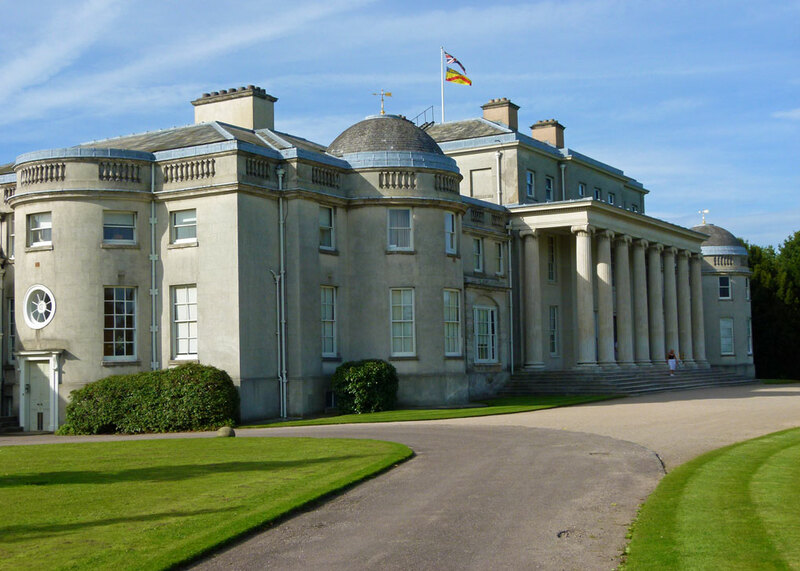 The Shugborough Estate has been the seat of the Earls of Lichfield (family name Anson) since 1831 – the 6th Earl still has apartments there – though the property has been owned by the National Trust since the 1960s and managed by Staffordshire County Council until 2016, when it was handed back to the Trust because the Council could no longer afford to run it. The name Shugborough allegedly means “devil mound”, or “haunted hill” – from the Anglo-Saxon word for evil spirit, ‘scucca’ – in which case it has a shared etymology with Shuckburgh in Warwickshire. Once part of the medieval estates of the Bishops of Lichfield, the modern estate of Shugborough began with a moated manor, though the present house dates from 1656 and was built by William Anson. His son, Thomas, inherited in 1720 and it was he who began developing the place you see today. 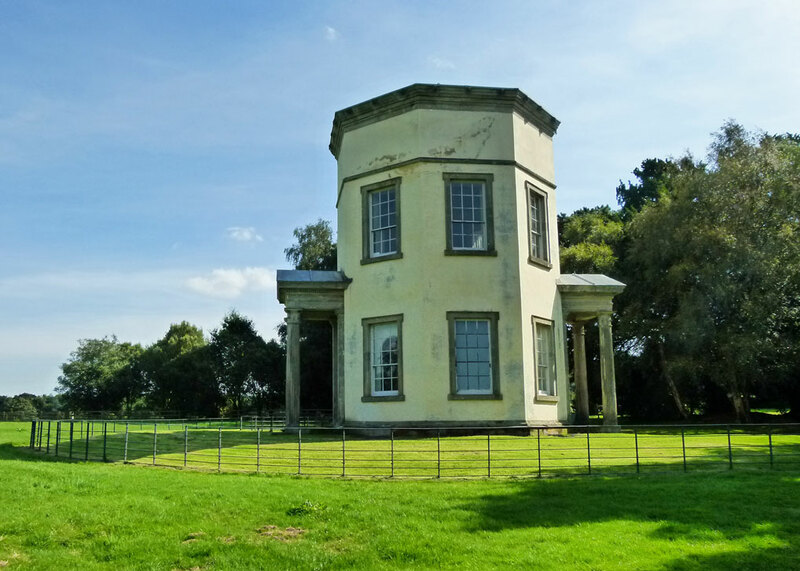 Thomas bought up all the cottages in the village of Shugborough and demolished them (though he very considerately relocated the occupants first), in order to develop the park. If this sounds a trifle cavalier, it was – but it was not a unique practice in those days. 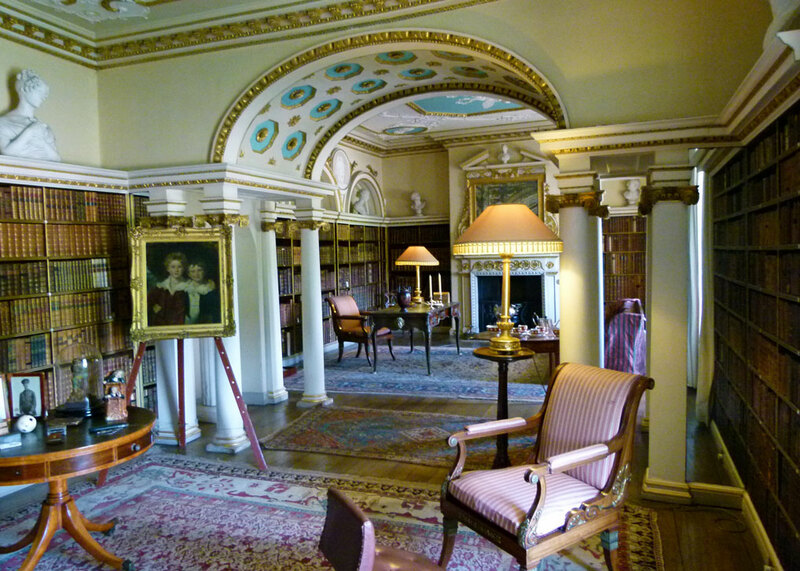 Thomas also annexed acres of the ancient hunting forest of Cannock Chase and set about transforming the old manor house into an imposing Georgian stately home. Much of the cash for this came from his younger brother, George Anson, who had a successful naval career, packed with adventure and derring-do, and who went on to become First Lord of the Admiralty. You can see many exhibits associated with George in the house, including the sword surrendered to him by the captain of a Spanish treasure ship, Nuestra Senora de Covadonga, and a 208 piece dinner service presented by the merchants of Canton in thanks for saving the port from burning to the ground. The Nuestra Senora de Covadonga was carrying £400,000 worth of gold at the time George captured it – a breathtaking fortune in those days. Anyway, the estate went on to become one of the model estates of the 19th century. At its peak, in around 1827, it employed more than 100 staff. 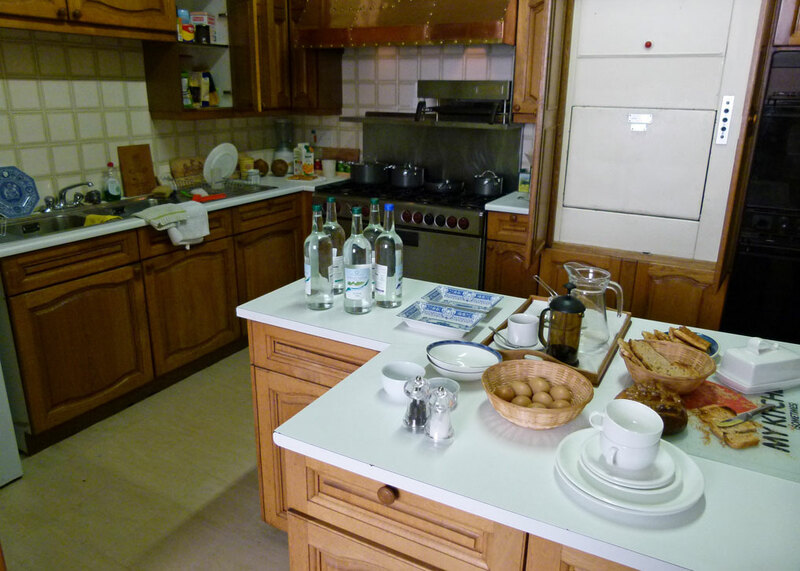 So Shugborough was probably even bigger than Downton Abbey. The house, largely constructed between 1694 and 1806, is striking – though the exterior isn’t that attractive, in my view, and the interior is mildly ostentatious – as you would expect. After the private apartments of the late Patrick Anson Lichfield, which are homely and a fascinating time-capsule of the 1960s and 70s, my favourite room was the library. 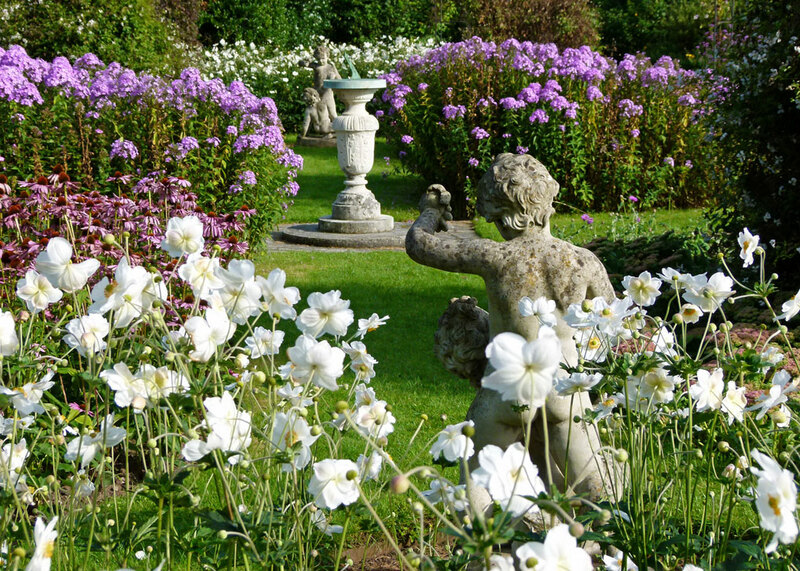 But the gardens and grounds are simply lovely. So what’s all this about the origin of the word ‘loo’ – an English slang term for toilet (what our American cousins occasionally and coyly refer to as ‘the bathroom’)? According to Shugborough’s website, the First Earl’s eldest daughter, Lady Louisa Mary Anne, was unpopular with her peers. Allegedly, she had a habit of speaking out of turn, talking over her rather deaf husband, Edward King-Tenison, and being generally unpleasant. The story goes that during a house party in 1867, the young Duke of Abercorn (and friends?) exchanged her bedroom nameplate for that of the lavatory and that, thereafter, the ‘WC’ became known as the ‘Lady Lou’ in upper-class circles. I’m not sure I buy this: it sounds unlikely. And would they have had name plates on the doors of rooms, like in a modern hotel? According to the Oxford Dictionary, an altogether more reliable source, the origin of the term ‘loo’ is 20th century and uncertain. Lady Louisa, by the way, was an accomplished water-colour painter, Edward King-Tenison was a pioneer photographer and they were married for 40 years. As for Shugborough’s ghosts, there appear to be three (mainly): there’s a Lady Harriet, who died during childbirth in the state bedroom, a former housekeeper who is heard rustling about the place when the wind’s in the right direction and, finally, the spirit of Admiral Anson himself is said to pop in for a visit from time to time. According to the intriguing 1982 book ‘The Holy Blood and the Holy Grail’ (Michael Baigent, Richard Leigh, and Henry Lincoln) and Dan Brown’s thriller ‘The Da Vinci Code’, Nicolas Poussin was a member of the secretive medieval society, the Priory of Sion, and ‘The Shepherds of Arcadia’ contains all manner of obscure references hidden within it. Provided you’re the kind of person that believes in the omnipotence of Little Pink Pussycats, or that there’s business to be done shipping rainwater to Ireland, it naturally follows that the letters under the Shugborough Shepherds’ Monument are clues as to the whereabouts of the Holy Grail. Whatever that is. Needless to say, innumerable attempts have been made over the last 200 years or so to work out what these letters actually do stand for. Those that have tried to work out the puzzle have included Charles Darwin, Charles Dickens, Josiah Wedgewood, experts in cryptography, crossword puzzles, the classics, some bloke called Galahad and a linguistics expert from Wisconsin. I won’t bore you with all the theories – the letters could mean anything – a love message, a piece of wisdom from the Bible (or elsewhere), something completely inconsequential designed to baffle future generations – or they could be a clue as to the whereabouts of the Holy Grail. 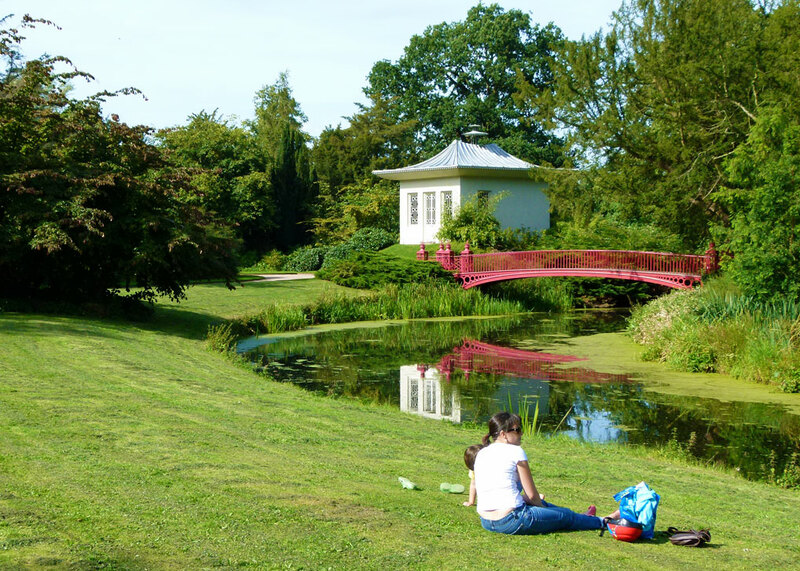 Whatever – Shugborough has something for pretty much everyone and is the kind of place you cannot possibly do justice to in a single visit. The relaxed atmosphere and individual nature of the place when it was managed by Staffordshire County Council was perfect; let’s hope the National Trust manages to retain both and is aware of the risk of their creeping corporate identity reducing all homes to a similar visitor experience each time. 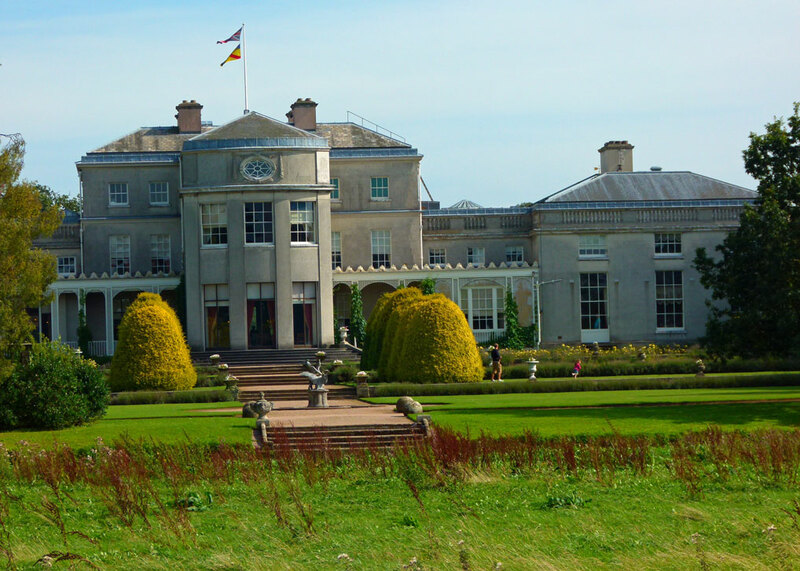 Find Shugborough and other stately homes on the Attraction Directory. 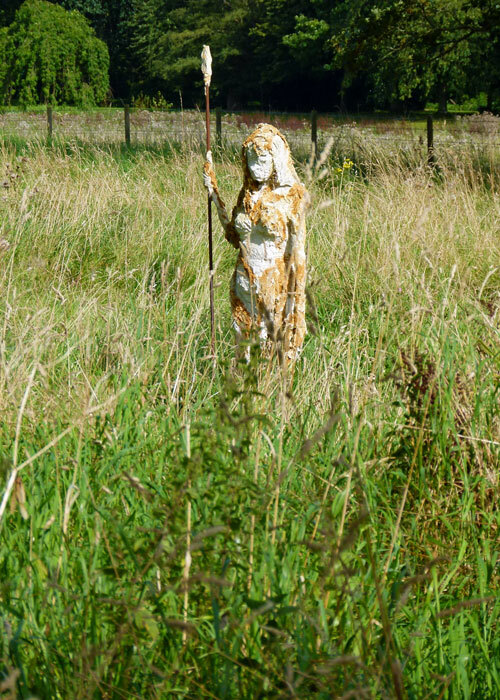 I have been to Shugborough many times and I still haven’t seen it all! Mike, it’s funny how much I enjoy looking at these magnificent piles and yet would never want to live in one. Georgian architecture is my favorite, though this particular exterior is not that appealing to me. I’m with you all the way over the NT takeover. They are incredibly corporate these days (well – for a long while actually) but what do you expect from an organisation that was set up to provide “sitting rooms in the countryside for the poor”? I used to love Shugborough. Maybe not so much in future. Actually, I don’t think that’s a bad aspiration – there’s a huge and unhealthy disconnect between urban and rural in the UK. I suspect the NT needs to be ‘corporate’ but needs to be careful it does not alienate – or make every visitor experience the same. 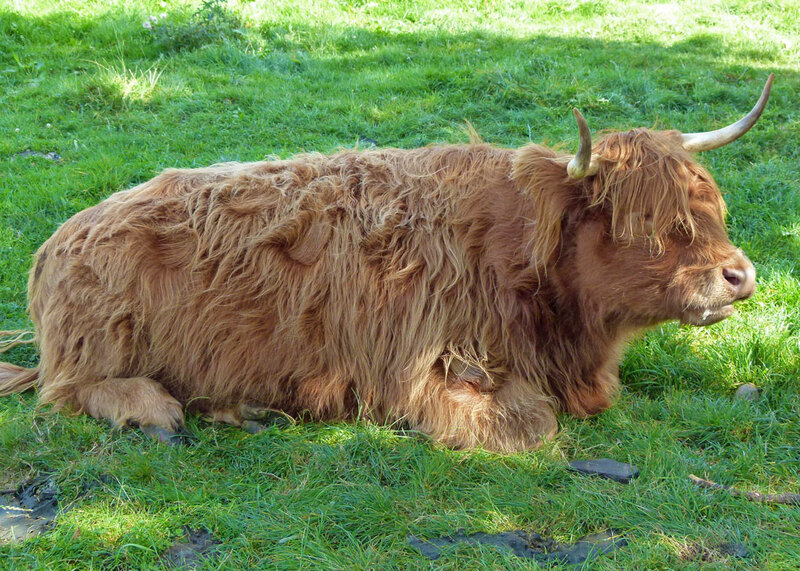 Loved seeing all the Longhorn cattle, which have grazed at Shugborough for 200 years…. now that’s a long time! An unusually solid looking building in the first photo, almost bunker like from that perspective and not very elegant lines for a grand house. 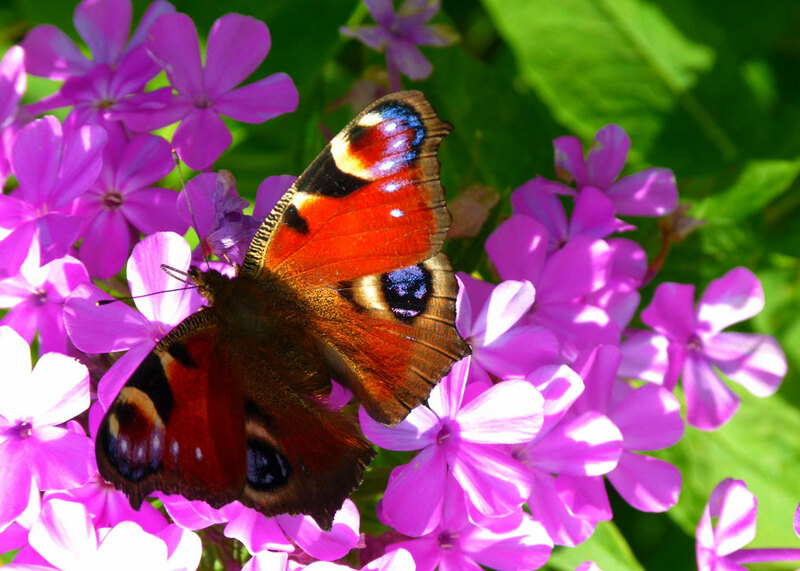 It’s always the surrounding gardens that attract me the most in these places. 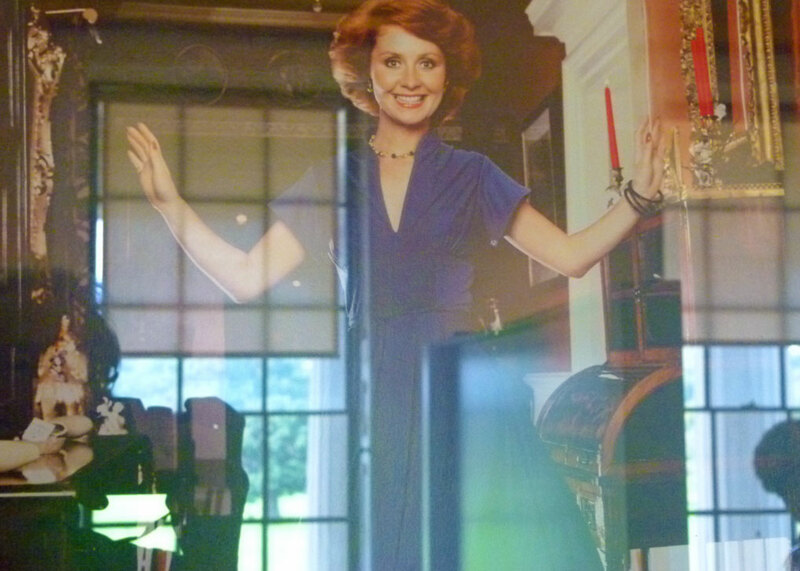 Surprising where folk like Lulu turn up but I suppose she would have been at her peak then and a Lichfield subject. Always more popular in England than Scotland even as a youngster my family always turned over to a different channel or made the tea when she started to sing on her long, long, long running TV show. That photo brought it all back. Oh, the horror of those cringe-worthy pop star duets during my formative years! Like Marc Bolan singing a duet with Cilla Black where any notion of ‘he’s pretty cool’ went out the window for me in one fell swoop. A 1960s- 1970s version of the Kardashians I could never work out why Lulu was always on TV or in the media so often. A mystery even Dan brown couldn’t solve :o). That was as swinging as the 1960s got in our household- swinging over to watch anything else, But maybe she was popular elsewhere. I was particularly intrigued by you mentioning the last Earl’s apartment to be a time capsule of the 1960s and 70s. Would have loved to see more of that. The folly “Tower of the Four Winds” was my second favourite bit. 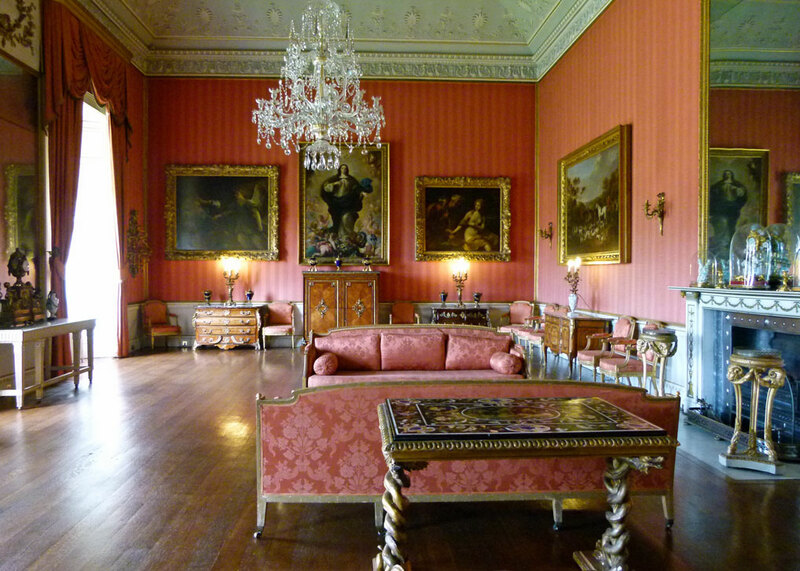 Have you been to Castle Howard? There, the “Temple of the Four Winds” was my favourite part. We’ll get to Castle Howard eventually! Dsounds like a great place! 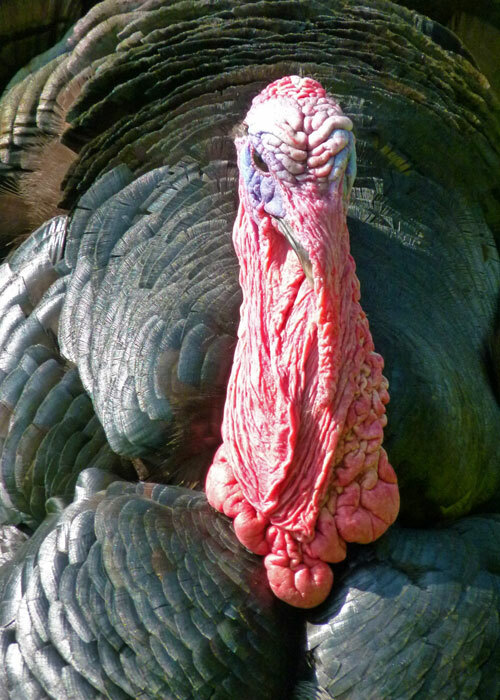 I love that ugly turkey! Yes, the cattle are looking good, considering. I agree with you about the NT’s corporate identity – I find it all a little oppressive. English Heritage is going the same way. I prefer to use my imagination when visiting houses and other buildings of interest rather than being guided along the approved route with all the dressing up and ‘let’s pretend’ that’s involved. I think I will try to get to Shugborough for a visit some time. I think a lot of places assume their visitors are morons! I hope that doesn’t happen to Shugborough. Thank you for this post. I look at the sign for Shugborough on the M6 on my frequent trips to Manchester and wonder whether it is worth my while breaking my journey. After reading your post I think the answer to that question is yes. Oddly enough, I had some comment about those signs on the M6 in the first draft. Check out opening times – web link on the directory. It looks like a marvelous place to explore- and the Devil Mount aspect of the name origin intrigues me.